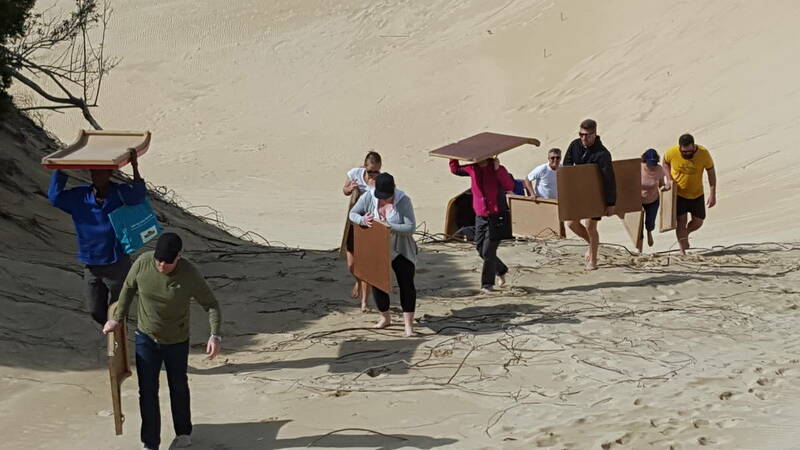 Sundays River Ferry offers the perfect outdoor and teambuilding activity of sand sledding/boarding. The activity of sand sledding is contingent on the cruise. Just a short drive from Port Elizabeth on the N2 towards Grahamstown lies the village of Cannonville and Colchester. 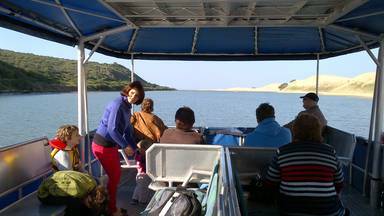 Addo Cruises / Sundays River Ferry is situated in Cannonville on the estuary of the scenic Sundays River near the southern gate to the Addo Elephant National Park. 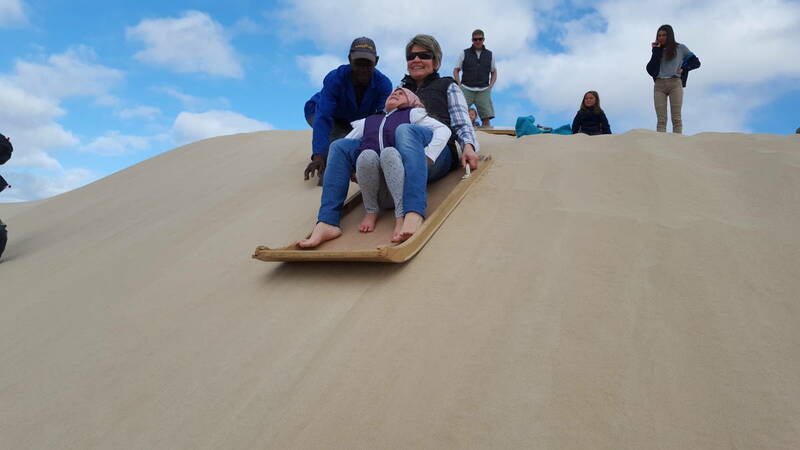 Experience the spectacular sand dunes and breathtaking views of the city of Port Elizabeth and Algoa Bay during a Sand Sledding Cruise. 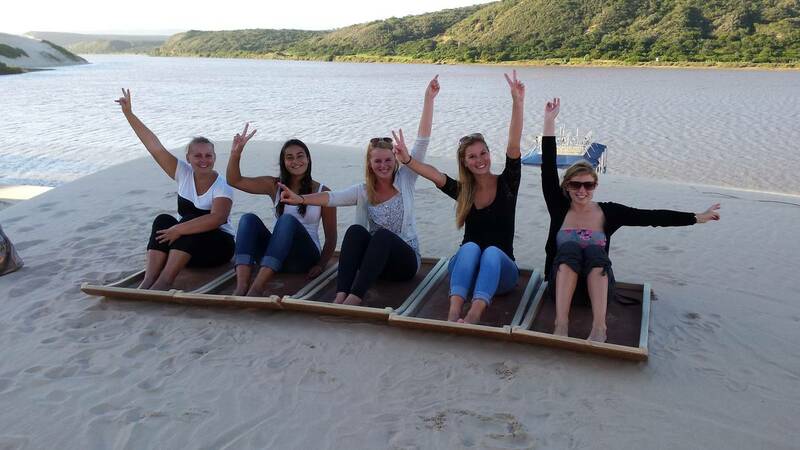 We are close to the Marine section of the Addo Elephant National Park. The river, on a good weather day, is calm and peaceful and offers a relaxing and memorable cruising. 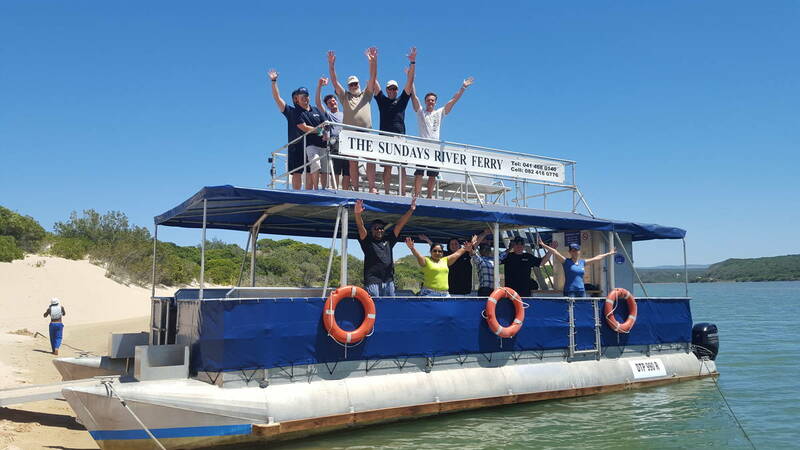 Experience the awesome views while cruising the Sundays River towards the river mouth to enjoy the breathtaking views of the world renowned Alexandria Coastal Dune Field, one of the largest of its kind in the world. 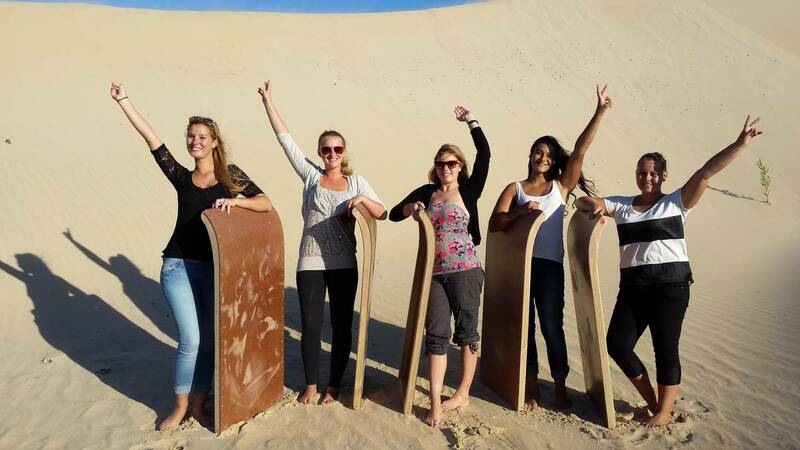 Stop over at the dunes to explore, take photos, swim and do some sand boarding. WeatherThis service is not available in strong wind conditions and rain. Service is weather dependent. We need a minimum of 4 people to confirm this trip or pay the minimum price for 4 adults.